Nan Chen was admitted to the UNT College of Business in fall 2015 through the China Transfer Program. He is not only a talented student with 4.0 GPA, but also very actively involved in many volunteer activities on campus and off campus. This spring break, when many of his friends went travelling or stayed at home to rest, he joined a self-sponsored mission trip through the “Alternative Spring Break” program organized by the UNT Division of Student Affairs. He and six teammates drove to New Orleans and stayed there for one week to help rebuild homes, communities, and the ecosystem hit by Hurricane Katrina in 2005. This mission trip was an unforgettable experience for Nan Chen. "I was so fortunate that I participated in a volunteer activity named NOLA Tree Project during my first Spring Break in the US. This activity aims at helping to rebuild the houses, communities, and ecosystem in the areas hit by Hurricane Katrina in 2005. It took us approximately ten hours to drive from Denton, Texas to New Orleans, Louisiana. Even though Hurricane Katrina struck New Orleans in 2005, you can still sense the devastation it caused both mentally and environmentally. We helped one local citizen to repair his house, which was soaked in the flood caused by the hurricane. The moss after the flood is still there. Because of the flood and hurricane, New Orleans approximately lost up to 320 million trees. Therefore, we tried our best to help different communities to plant trees, hoping the ecosystem recovers from the disaster as soon as possible," he said. "During this mission trip, we not only helped to rebuild the communities but also learned the history and culture of New Orleans through the communication of local people. We learned the skills in repairing houses and planting trees. More importantly, hundreds of volunteers bring the hopes and expectations for a better future to the local people every year. The words from the house owner who we helped impressed me the most. He said, 'I could not have gone this far without the help from the different volunteers.' As a volunteer, when you see the smile on peoples’ faces and the hope in their eyes, the destiny of being a volunteer is truly fulfilled. Besides, participation in this volunteer activity as an international student with other American students enabled me to experience the authentic American culture and make more American friends. During the whole trip, we respected and cared for each other; we shared our own life stories and discussed the culture and customs difference between China and the US. The volunteer activities like the NOLA Tree Project not only gave me the opportunities to help people who are in need but also granted me an unforgettable memory for my whole life path." Global caring activities bring hope to the people suffering due to a variety of reasons. During these activities, devotees themselves grow spiritually and improve their personal integrity. 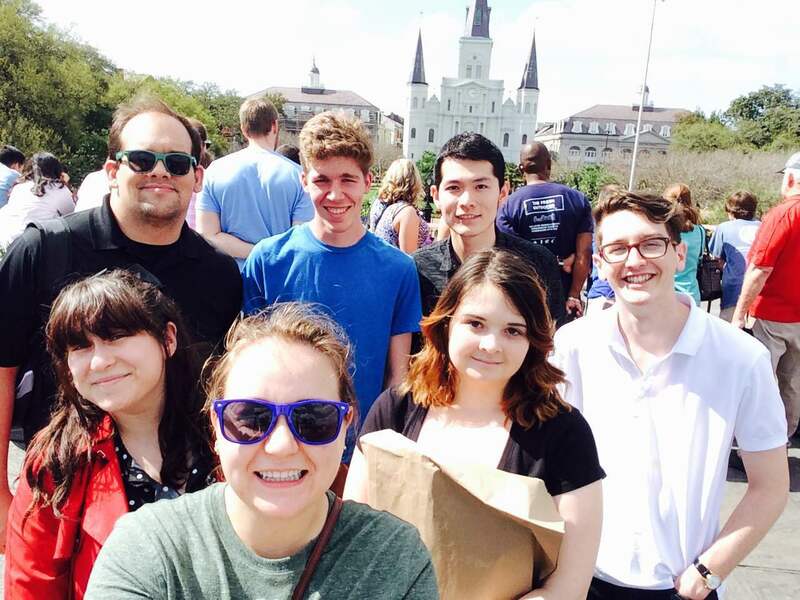 Nan Chen and his teammates’ care and help to New Orleans may encourage more UNT students to join mission trips in the future.